Very disappointing night in Anderson Arena tonight, as the Falcons lost by 12 in front of a decent crowd to a Central Michigan team that is decent, but not that much better than us. And, the game probably was not actually that close. I listened to both LaMonte Stone and Coach Orr's presser, and the theme was pretty much the same. The team did not compete. We settled for ill-advised outside shots. We didn't get to the line. We didn't have a fire in our eyes today. You can't do that in conference play. We haven't had this problem since the Xavier or Iowa games. Otis missed some time with an injury--but other players did not pick up the slack. This probably tells the story. It was an ugly night at Anderson Arena. Coach made the point in the post-game that the stats did not tell the story, and I think in this case it was true. The stats themselves were relatively similar, but the game was a total mis-match on the floor. Part of this is a game rally the Falcons found in the final minutes which might have evened things up a little bit. 4:59 BG's next points, by now, CMU leads 23-17. 1:42 BG gets another FG, and is frankly lucky to only be down 7 at the half. Still, down 7 at the half is not a deal breaker, we're often down 7 or so. We got a quick basket to get it to 5, and you could kind of think things might be turning around. The Chips scored the next 8 points, however, and at that point, the game had been decided. (BG missed 2 3FGs in that run, BTW). The lead got as high as 20 and never lower than 9 the rest of the way. So, very little redeeming out of that performance. That should not happen at home, and I applaud our coaching staff for not mincing any words in their discussion of it. A final couple notes, and we shall speak of this no more. Second, the Rockets are coming to town in two freaking days. I don't care if they ARE winless in the MAC, it makes me nervous. I do think, however, that today's game actually works in our favor for Monday. I don't think we will play that bad two days in a row, and the team will actually be grateful for the chance to get right back onto the court and get "this taste out of our mouth/"
Enter from stage left, the Chippewas of Central Michigan, BG's next opponent in the Tour De West. In lots of ways, this is like the match up with EMU, except in BG. CMU is 9-9 and 4-2, but against the 295th ranked schedule in the country. (For reference, BG has played the 172nd schedule in the country and is 10-8. CMU has a really nice win @ South Florida, but the rest of their wins are unremarkable. In common-opponent land, they lost to Detroit (as BG did), and they can't be happy losing to Farleigh Dickinson or South Dakota State. Their only loss in the West was @WMU and they lost @ Miami as well. Overall, they are 3-8 on the road this season. Looking at stats, the one thing that jumps out is fouls. CMU is 322 out of 334 in the country in fouls with north of 22 per game. This comes with an equally poor rating in terms of giving up free throws, so one key for the Falcons will be to get to the line and make free throws, which they did very well until last week. Other than that, you can see that they are used to giving up shooting about where BG shoots, so we have a pretty good idea where that will equal out. The other tension will come on turnovers, as it they are second in the MAC in forcing turnovers, and BG always seems to do OK protecting the ball. (Watching the game, I swear its higher than that, but it never works out that way. We struggle against pressure, and that might take its own toll, but the actual turnovers are not too bad. CMU is not a very effective shooting team (last in the MAC), and their effective FG% only gets as high as it does by being among the higher percentage 3-point teams. It always seems that when we play a poor shooting team, it is right in our wheelhouse, and if we can get out and defend the 3 (a struggle sometimes this year), I think we have the ability to shut them down. As you can see below, they are very good on the offensive boards (perhaps due to a lack of suspense over whether a shot will be missed), so BG's big men will have to box out and keep them from getting second shots. And, it would appear they make turnovers as often as they cause them, so it would be nice to see that continue too. Individually,CMU has two very good guards, Robbie Harman and Jordan Bitzer who are their leading scorers. They are both seniors, and anytime you face a team with two senior guards, that is a challenging assignment. They play pretty small, they have a couple big guys who don't play very much and their leading rebounder is 6'4". That being said, they are decent on the boards, just not a team with a lot of height. I guess I have to say I like this matchup for us. I think BG's team stacks up well against CMU, and being on the Anderson Arena floor, I'd like to think we can grind out a victory against these guys. After some bumps and bruises, Akron and Kent are establishing themselves at the top of the East. Buffalo has to be disappointed with their showing so far, and last's night loss had to be particularly galling. In the West, I think NIU is the surprise team in the entire conference, but you'll see this records fall as West plays East for another couple weeks. As for the Falcons, I don't think we are in a terribly surprising position. We're just one game out of one of the top four slots, but there is a long way to go. Our games against Akron and Kent on the second go-round in the East will be pretty critical and at home. From time to time we check in on how are recruits are playing....this time for men's basketball. Craig Sealey is from Brookhaven HS. He was nominated for the McDonald's HS All-American games, which are scheduled for Columbus, as it happens. He had 28 points against an undefeated Northland team recently, for a team that is 8-5 so far this season. Cameron Black II from Kent has been racking up TRIPLE doubles, and had 24 points 13 rebounds and 8 blocks in a recent game against Ravenna. The Falcons went on the road today in Ypsilanti and came away with a really nice road win against a pretty decent EMU team. For much of the game, EMU had the better of the play, they could never extend the lead against the Falcons and BG kept making runs until they finally caught the Eagles with about three minutes left. The key point in the game was a 14-0 from 7:10 to 1:27 that saw a seven point deficit become a 7 point lead. From there, EMU was fouling to stay in the game, and BG made enough free throws to salt the game away. (Note the very flat line in EMU's chart). In the bigger picture, BG really improved defensively in the second half. They entered the locker room down 9, but EMU scored only 24 points in the second half, and that set the stage for the Falcon victory. Scott Thomas had a really nice game for the Falcons. He scored 18 points with 3 3FGs, 6 rebounds and 4 assists. 17 of those points were in the second half, and he scored 10 of the 14 points in BG's big run and added two assists, meaning that he had a hand in every single basket during the run that turned the game. A number of those shots were tough catch and shoot opportunities and he knocked them down. He did drive for some baskets, too and he continues to develop into a really nice player. For much of the game, it seemed like EMU was penetrating the inside of the zone, just like Miami did. Justin Dobbins was all over us in the first half, but after that, the inside defense seemed to tighten down and that seemed to make a big difference. EMU had 8 paint points in the second half. Otis Polk had 10 points and six boards on 4-6 shooting, and Erik Marschall also had 10 and 6. Dee Brown didn't score much, but he did have 6 assists over 1 turnover, which means there was production. In terms of team stats, you can see here that the game was pretty evenly matched, with the major difference being BG's strong performance on the offensive boards. EMU had 9 3s, but they pumped over 27 of them, so that isn't an awful percentage. EMU had their first half lead thanks to 60% shooting from the field, but the Falcons held them to 28% in the second half, and as mentioned above, that's how you win a game on the road. So, it was a very enjoyable night in Ypsilanti. We sat behind the Falcon bench, and Coach Orr is very different when you are behind him than he is when you are across from him, which is usually where we are. And the answer is that he is much more animated and emotional than he seems from across the court. 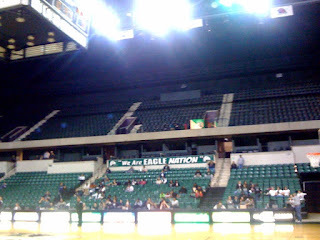 Finally, it was my first trip to the Convo in Ypsi. It is a terrible game environment. They had a small crowd that rivaled some of their football crowds, and they keep half the lights off to hide the second deck, but it makes the whole place feel like 1950. And the starting lineups, with the spotlight and the flames on the scoreboard looks ridiculous. So, fresh from the road victory, now BG can await CMU and UT's trips to AA. It would obviously be nice to put together a little winning streak here. Today's game was a start--a gritty win on the road where we (again) showed that we can win a game in the last 5 minutes. I know we aren't a great team. I am enjoying watching them develop nonetheless. Freddie Barnes is going to pass on the Senior Bowl. I don't blame him. The whole thing is not conducive to being at your best, and in his position you can't afford to show up and be anything less than your absolute best. So the Falcons head into the West, where things were fruitful last year. The Falcons open play against the only team that they lost to in the West, and that was the EMU Eagles. Last year, the game was at AA, so this year it will be at the Convo in Ypsi. What can we expect from this contest. In the MAC they are 2-3, just as BG is. Their wins are against Toledo and Ball State. So, looked at that way, it is unclear how good this team is...and it is possible they are not very good. Now, in statistical terms the game is pretty evenly matched....for example, here is the EMU offense against the BG defense. Lines are all pretty close together, with the exception that they are better at getting to the line. Now, flip the numbers, and we can see that we might expect to see Bowling Green shoot a little better against the EMU defense, and we ought to be able to get more than 2 offensive rebounds in this one. Now, on one hand, you might say that EMU has generated these even stats against weaker opposition, and that would be true. At the same time, EMU is playing at home, where they are 7-1 and 2-0 this year. That to me would appear to equal out. The last reason why I think that this will be a good game is that EMU has two really good players, senior Carlos Medlock and junior Brandon Bowry--who, in fact, is averaging a double-double. In fact, Bowry has a shot to be the MAC player of the year. So, on their floor with a seemingly evenly matched team, and two veteran marquee players (which is two more than we have), I think this has the potential to be a good game. Now, on the other hand, if the Falcons play their solid defense, clamp down on the outside shooting and get some points inside, there is no reason that they can't beat the Eagles. But, I think this will be a competitive game. According to the BG News, Freddie Barnes has been invited to the Senior Bowl and may attend. This is a little odd, since the big deal at the Senior Bowl is the practices, and I haven't heard anything about injuries that might have created an opening. If this all works out, it is a nice honor for Freddie and a chance to prove himself in the premier college all-star game. Hopefully, it will end up with Freddie getting to go to the combine, which would be very helpful for his draft status. Just watched the East-West Shrine Bowl....OK, I watched the plays where they threw the ball to Freddie. I thought he had a good game. He was victimized by some weak QB play until the last drive but he was getting open on the last drive and made some really nice grabs. The announcers were pretty complimentary for things we have seen all year, that he sets up defensive backs, gets open and has good hands. Also talked about his "game speed" as opposed to speed in drills. Regardless of whether he gets drafted or not, I think that Freddie has a shot to stick in the NFL. He is a good football player, though certainly not a speed burner or a tall leaper. Coach Orr held his weekly presser yesterday, and it was actually pretty interesting. 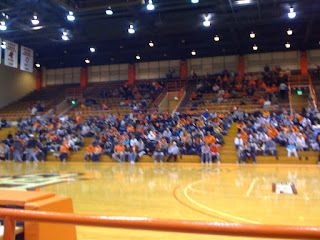 You can go to bgsufalcons.com or youtube and watch it yourself, but here are the high points as I saw them. The Media seemed to want to talk about Miami's run in the second half that put the game away. Of course, the shame is that without it, the game was very close the rest of the time. Said another way, though, BG never went on a similar run. Anyhow, Coach said it was two things, first that we had too many "empty" possessions and Miami hurt us on the inside of the zone. He said he didn't want to give away our secrets, but there are some situations where our post-player has to guard their player 1-1 while the other four guard the kick out, and in this situation, it apparently didn't work out well. He noted that Miami was 12-18 from the field in the second half. As I predicted, he was pretty exercised about only getting two offensive rebounds (I looked it up, the next lowest this year was Iowa...with 7!). He also noted that Miami blocked 7 shots in the game (not in that run). There was a lot of probing about Otis and about the post players. He was very careful to talk about needing players to do their job, which, in the case of post players, is to rebound, defend the rim and score when you get the ball near the basket. He says that we could be doing better, but that covers everyone on the team, too. He also said that our guards are doing all the scoring, so that kind of indicates that is an issue for the big men. He says that he is an inside-out coach. Our big men are drawing attention, which means that they have to be playmakers by making kick out passes that lead to baskets. When they get the ball in the position to score they need to score or get to the line. He went to the stat sheet to note that Otis has our highest number of free throws this season. However, based on his formula, (this is me talking now), we did not seem to get what we needed from the big men. There was an interesting conversation about the concept of inside-out. He noted that there is more to inside-out than just post play, it also includes dribble penetration and offensive rebounding. He then went on to talk about Scott Thomas, and his development as a player. He says that you cannot be a scorer without getting to the line, and that Scott is learning how to draw fouls and get to the line to compliment his shooting game. He talked at some length about the importance of getting to the line, which we did not do against Miami. It got me to thinking...here are the stats for free throws attempts for BG going back to the big Dakich years. It is very interesting. In our good seasons, we were shooting lots of free throws, but in our rougher years, the total has been, um, steady. OK, one last thing. When asked about the playing time of Jordan Crawford, coach said that there are a number of variables. As a freshman, Crawford does struggle, especially sliding his feet on defense. It also is dependent on how Joe and Dee are playing. Finally, you can't really go with 3 guards when you are playing the 2-3 zone, because you need some size on the back line of the zone. So, those are the high points of the Orr presser. I love it when we can an education from our coaches, and I found this presser to be very enlightening on how we want to play. Looking back to Saturday, just a quick note to catch up on the final results from the Falcon-RedHawk tussle in Oxford. The game was close for the first 29 minutes, when it was tied at 36. However, for the next six minutes from there, BG was out-scored 14-2, giving the RedHawks a 10 point lead they would ride to victory. BG appeared to be in one of there not-unusual offensive funks, missing layups and getting only one field goal over the period of time. From that point on in, the game was never closer than 7. Miami ended with a +10 advantage in free throw shooting that was really the difference in the game. BG had only 2 offensive rebounds (and only 1 for our three main bigs), and that can't be something that makes Coach Orr happy. From a shooting perspective, Miami shot 46% from the field and 50% from the three-point line, and we're going to struggle to beat a team when they shoot that well. Meanwhile, BG shot 40% and 39%, which are on the low end of what we might need to win. BG did shoot over 80% from the line, building on a good month in that area. Individually, sophomores Dee Brown (17) and Scott Thomas (10) continued to lead BG's scoring. Brown has a really nice line, with 5-9 shooting, 5 boards and 4 assists with no turnovers, which means he scored his points without using up a ton of possessions. Other players in the backcourt did not shoot especially well, and any contributions our big men made were not evident in the boxscore. So, the Falcons finish their first run through the East at 2-3. Last year the team got well playing the West (as did everyone in the East) and will get their first chance to do that @EMU on Wednesday. Freddie Barnes played Saturday in the East West Shrine Bowl. I have the game on my DVR, and I am going to take a look at it later. In the meantime, Freddie was targeted eight times during the game and made four receptions for 40 yards. Three of those receptions came from Mike Kafka of Northwestern on the final drive, and on consecutive plays as well. He also had a punt return for 3 yards. He got excellent reviews during the week of practice. Obviously, we know he has good hands and is a football player. He is working to bring his times down before the draft. He wasn't invite to the combine, however, and I have even seen some comments from him that he may end up going the UDFA route, which is fine, too. You just want your shot. Maple Heights OL/DL Dominic Flewellyn has made a verbal commitment to Bowling Green. Flewellyn is 6'3" and 275 lbs and is expected to play G in college. He played on a high octane offense that finished second in the state. He was a Plain Dealer All-Star. Jerry Gates is our third player from this class from Middletown. He is a D-back and receiver, though he sounds like he will play d-back for us. ESPN has him ranked as a two-star recruit He was the all-area defensive player of the year. Made six interceptions and returned two for touchdowns this year, while also totaling 562 return yards and three touchdowns. He was also first-team all-state. Has played in Louisiana, New Mexico, Colorado, Kentucky, Maryland, Wisconsin, Ohio and New York (This year). These are the stylings of Charlie Coles, the evil genius behind the RedHawk program. He is pretty much the only coach in the MAC who subscribes to the idea that playing a really tough non-conference schedule is to your advantage. Keith Dambrot has been defending this in the local papers in Akron, and his idea is that the MAC is a one-bid conference, and since you won't be earning a bid with your tough schedule, you might as well play to win. A philosophy that is shared by most MAC teams. Not the evil genius...he does this every year, loading the RedHawks into more tough gyms than the Washington Generals. Now, I'm not interested in arguing the issue of whether the MAC must be a one-bid conference, because it is relatively simple to me....we are a one-bid conference, and our lack of recent success in the tourney has only made it worse. What I am interested in discussing is whether the tough schedule prepares you better for the MAC season than playing a mediocre or easy schedule. Do you get seasoned? Do you get worn out? Now, I did a little research into the Miami program dating back to 1999-2000. I did find that their reputation for shocking tourney runs was probably built in the 2001 and 2001 tourneys when they went to the finals each each, once as an 8 seed and once as a 9 seed (and one year dragging the Falcon's heart from the back of their bus the whole way). But, you also cannot argue that their schedules are killing them. In those 10 years, they were a top 4 seed 6 times. And a fifth seed once. They have been in the finals 3 times. They have made the semis 6 times in 10 years. I don't have the figures, but I doubt if there are too many teams with better track records, with the exception of Kent. Well, enough of that. Let us merely stipulate that they are a mystery, and the evil genius is always dangerous when he reaches the end of the season. In terms of style of play, Miami is normally very similar to BG...very deliberate and defensive-oriented play. Coach Coles had high praise for Orr when he came to BG, and they coach very much alike. In fact, their 63 possessions per game is even a little slower than BG. Miami's points per possession (.95) is about BG's (.98) and point per possession allowed is better for BG (1.0) than Miami (1.06). Miami is much more committed to the 3 than BG is, but does not create many turnovers, preferring a very careful style. Of course, keeping in mind all the while that they played the toughest schedule in the conference. Kenny Hayes is back and is their only double-figure scorer at 14 per game. Julian Mavunga is scoring about 9 points and is the leading rebounder with six a game. They predominantly played a seven man rotation with an eighth guy getting a few minutes. They don't have one really big guy, but they do have two 6'8" and a 6'7" guys. I don't know. Been through all this and they are still a mystery. I guess I would just say this....I always think they are dangerous, especially in Oxford. We'll see how the story evolves on Saturday. Ruffin McNeill, the interim coach at Texas Tech, is reported to be the next Coach at East Carolina. Dave Clawson will stay at Bowling Green, which, I believe, is a relief for the Falcon Nation. You have to know he will go eventually. You just hope it all lasts more than 1 year. Highly recruited and talented LB who played as a true FR and then washed out at BG, being dismissed from the team. We thought he was a pretty good player then, but he's probably better than we thought. According to this, he went to JUCO, and is being highly recruited. He apparently has written offers from Tennessee and Auburn, and is already a verbal commit to UCF. So, yeah, I guess he was a pretty good player. Mostly, this is just for observation, because no matter how good a player he is, if he was a bad fit for the program it wasn't worth it. According to this media report, BG will play Indiana in 2013, 2014 and 2017. No word from the article if any of the games will be in BG, though I am hoping it is a 2-1, with one game at the Doyt. In future years, Indiana has signed on to play a series against Missouri (2013 and 2014) of the Big 12 and perennial MAC title contender Bowling Green (2013, 2014 and 2017). Meanwhile, a warning is sent from CMU on dealing with the Hoosiers. Kent's Cameron Black II is a Falcon verbal, and I caught this little news snippet for one of his recent games from Jim Manion. The 6-foot-10 senior forward is starting to put together some monster games, as he did against the Panthers. Black II had a career night with 13 points, 21 rebounds and 12 blocked shots. Those are numbers that simply make your jaw drop and it makes you understand real quick why he will be wearing the orange and brown of Bowling Green next season. I understand Black’s size makes him a man among boys in this league, but I also realize how hard it is to collect 21 rebounds in only 32 minutes of a high school game. Then, on top of that, he rejected 12 shots — a truly staggering performance. This is a very valid point....he may be much bigger than anyone else, but you block 12 shots in a 32 minute game? Wow. The Falcons picked up another nice win against an OU team that I think is better than their 0-4 MAC record. Regardless, it represented a solid victory for our team in a hard-fought game. The key element can be seen in the game flow below. Head over the right to where there are about 3:30 left, and notice what happens to that little green line....it goes flat. BG outscored OU 11-0 over that time period, and by pitching a shut out coming down the stretch, BG effectively closed the door on the win. This is the second straight game where we have finished this strong, and it is a huge strength to a team. It is even more a credit when you see that we played a really tight rotation last night, so obviously, our guys are well-conditioned and prepared to grind as long as it takes. The game pattern was familiar in other ways, as well. BG ran out to a decent lead and then struggled for the remainder of the half and headed into the locker down 8. The Falcons came out and scored the first 6 points of the second half, and from there on in it was the kind of tight, possession to possession game that we appear to be good at. One of the questions heading into the game was about tempo. OU was second in the MAC in scoring, and that's not BG's game. This game had only 58 possessions, tied with the Temple game for the lowest amount of the season. BG got the job done on the defensive end. OU shot only 37% from the field. And, more importantly, BG finally succeeded in shutting down the 3, as OU was only 3 of 21 on the long ball, which is the lowest number of 3s made against us since Fordham. OU averaged about one point per possession, and that, combined with the extremely slow tempo, put them way behind their average. Meanwhile, BG did enjoy some success offensively as well. BG shot nearly 47% from the field, and made over 40% from 3, and those two things combined gave BG a significant advantage in effective FG%. BG also got to the line a little more, and had a +4 advantage on free throws (shooting a perfectly acceptable 72%), which helps. The final stats show only 11 turnovers for BG, but remember that is mitigated a little bit by the low number of overall possessions. Still, that is a 19% turnover percentage, a little below the season average. We do seem very susceptible to pressure, and I can only conclude that OU didn't stay in pressure because it isn't their game. It is one area that the Falcons can use improvement in. As you can see, rebounding was pretty even. There was 42 fouls in a game with 116 possessions. Sometimes, I don't understand what the MAC officials think they are doing, but the for periods of the game last night, the density of fouls was stupefying. Individually, Joe Jakubowski had a huge night, with 18 points and only one missed shot and one turnover, meaning he scored those points without using up a bunch of possessions. Scott Thomas had 16 points, and while he was cold from the field, he had 5 boards and was 9 of 10 from the line, including some clutch free throws in the stretch. Erik Marschall contributed 12 points and 9 boards, and is becoming a really valuable inside scorer for us. He always has had the ability to score in the post, he just has the knack of finding a way to get the ball onto the glass. As noted, only six Falcons played more than 10 minutes. We ran a really narrow rotation and I can't imagine that's healthy in the long term, but it was apparently the best way for us to win the game. So, with a 2-2 MAC record, the team now is only one game out of the East lead and certainly is in contention. Next up are the RedHawks and the evil genius, Charlie Coles, which promises to be a test for us. Of course, every game is a test for us, and that's why this grind it out mentality is so good. One thing I am sure of...our team was better the last two games than the individual parts would appear on paper. The Falcons picked up their second straight conference win tonight with a hard fought home win over the OU Bobcats. That, paired with a crazy quilt of other MAC results, puts the Falcons right back in the race. I'll have more later, but the Falcons came out of the locker room hot for the second straight game, and then ground out a victory by being the stronger team in the closing minutes for the second straight time. It was a pretty good game and a nice win for the Falcons. Kent, BTW, crushed Buffalo at the MAC, which is just another way of saying things are pretty wide open in the East. The verbals are coming fast and furious now...hat tip to AZZ.com for this one. Aaron Foster is a d-back from West Bloomfield, MI, joining a high number of recruits from that state in this year's class. The Detroit News named him second-team All-Metro North, and he was also second-team all-Oakland County. Rivals gives him 2 starts. From skimming media stories about him, he played FS this year and was in a ton of tackles with a reputation for ball-hawking. He is 6'0" 185. He also had some big kick returns. Just a quick note....the news on Coach Clawson is that the University has released a statement that no one has contacted BGSU for permission to talk to Coach Clawson, as required by his contract. Coach Clawson said something like he was not "currently" a candidate for the East Carolina job. Lots of time, initial contact from the school is made with representatives of the Coach, and not with the Coach himself. If Coach Clawson was truly not interested in the East Carolina job, he would have chosen different words. It does look like ECU is interviewing more candidates, which seems to indicate they did not lock immediately onto Coach Clawson. 2. Hot, young head coaches clearly on their way up the career ladder - there were two of these on my initial wish list and both have been able to manage one winning season while rebuilding in tough situations. I have a personal relationship with both of these coaches and was prepared to go after them hard as they would be close to identical to the leadership that has been so very successful here for the last five years. However, before our vacancy occurred, one was being interviewed and subsequently hired by another institution. The other has been interviewed or offered an interview at all the instutions with openings (including Notre Dame), except for USC. In spite of all the good that has come from the past five years, I am now convinced it is not necessary to plow that same ground again at this time. OK. The rest of the letter reads like that...just a warning. Anyway, that's what is publicly available right now. If you are interested in reading Coach's contract and what the rules are for his buyout ($400k) and contact from other institutions, USA Today has it in a database here. So, here come the BobKitties, and they arrive at Anderson Arena with their back to the wall. Despite a decent record, OU is 0-3 in MAC play and has to come onto the floor with a desperate need to get a win. They have been a hot and cold team all year. They started their season with four straight wins over 200+ RPI teams, followed by three losses (@Marshall and @Tulsa included). They followed that up with a three game winning streak, beating Eastern Kentucky and Illinois State teams. From there they have lost five of seven, including a loss to Pitt and a nice win over IUPUI. as mentioned, they have lost their first 3 MAC Games, Kent and Akron in Athens and then @Miami. Bowling Green swept the series with OU last year, picking up a nice win in Athens to start their winning streak and then winning at BG to clinch the regular season title, and then again in the MAC tourney. I think if we look at the two teams, they are pretty evenly matched. Looking at the BG offense against the OU defense, we can see that OU is used to forcing turnovers, and BG has been weak on that of late, so the Falcons will be under pressure to control the ball. On the other hand, they do foul a lot, and given BG's strong free throw shooting of late, that has the potential to be a nice advantage. Now let's look at the four factors for the OU offense and the BG defense. As you can see, the teams are pretty even. OU shoots a little worse than BG is used to having teams shoot, but the Bobcats are a little stronger on the boards and get to the line a little more than we are used to. OU is led in scoring by Armon Bassett, an Indiana refugee, and DJ Cooper, a highly recruited FR who is probably the leader for MAC Freshmen of the Year. Their other double figure scorer is Steven Coleman, who is a SO and was on the all-freshmen team last year. (As an aside, this year apart, I think Groce is in the process of building a really nice team down there). They rotate 9 guys getting 10 minutes or more a game. I don't really think this game is a lot different than any other game. If BG can build off its defense and rebounding and actually get out and defend the 3, they are going to be tough to beat. If they can get some consistent scoring on top of all that, then they have a formula they can use to win a lot of MAC games. Now, OU is on the road and facing an 0-4 conference start, and they are really up against it. I think we can expect them to play very hard and with a high degree of urgency. I am looking forward to this game, though. It would be nice to get the win, a 2-game winning streak and re-establish ourselves in the MAC race. I'm also looking forward to seeing if BG can build on the victory and continue a strong level of play. Football Coaching News--is Clawson in ECU mix? From East Carolina, Rick Stocksill has reportedly decided to stay at Middle Tennessee State, which means, based on media accounts, that Dave Clawson may be back in the mix. So yesterday Coach Orr held this presser for the week. 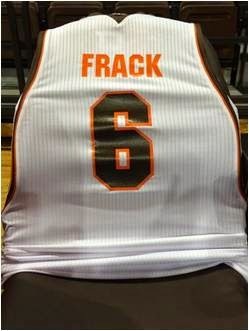 Just got done watching it....I'll hit the high points and you can head to BGSUfalcons.com to see the whole thing. The biggest piece of news is that Au'ston Calhoun is ineligible for this semester. Coach didn't elaborate beyond that. He talked about Scott Thomas and Dee Brown having big scoring games against Kent. It was interesting. He said that when Scott shoots poorly, he encourages him to review his shot selection and make sure he is taking good shots. With Dee, who passes up shots, he tells him to take every open look he gets. I thought that was pretty funny. Anyway, those two guys are both sophomores and I think they have the potential to be really good players for the rest of this season, as well as their junior and senior seasons. Coach also talked for a long time about hard the two players work in practice, especially on their shooting. After explaining that for a couple minutes, someone asked about them "suddenly" emerging. Uh, dude. The whole point was that it wasn't sudden. K? There was also some really interesting conversation on the "art or science" of being a scorer. To be a scorer, a player has to be able to find their way to their spot on the floor and get open on a consistent basis, as well as getting to the free throw line....which great scorers do. Someone asked about how to get Otis back in the scoring groove. Coach Orr reminded the people in attendance that you winning % should never be determined by your shooting %, and that holds as true for players as it does for the team. Even when Otis isn't shooting well, by rebounding and by getting to the line. He said that Otis and our inside players do create opportunities for Thomas and Brown and Jakubowski, He said Otis wants to be a scorer and gets disappointed when he misses a shot, but he can and does help the team even when he is not scoring. Finally, he did note that while BG was glad to score against Kent, the team is still giving up too many good 3FG looks, and that needs to be improved. He does like how our team is "on the grind." I'm really looking forward to the OU game this week to see if we can string together a couple solid wins in a row. Hat tip to Azz.com, I see the John Fry of Spring Valley WV has committed to the Falcons. He is 6'5" and 260 pounds and played both offensive and defensive line. I have no idea where we project him, but he was all-state on the offensive side of the ball down there. (He was a tackle). On the other hand, he was all-conference on defense and not on offense. Apparently his nickname is Red. There have been little rumors bouncing around about this, but here is the first thing I have seen with some teeth to it. The leading candidate at ECU is David Stockstill of Middle Tennessee State, and I have seen reports that he was offered the job. The other candidate is Dave Clawson, according to this media report from Nashville. In 2007, Graham Couch of the Kalamazoo Gazette wrote an excellent story on MAC Basketball, detailing how the conference, which was once known as a thinking man's basketball conference, had fallen behind its one time peers, such as the MVC and the Horizon. It was an excellent article and right on--the decision to emphasize football had resulted in a fall in basketball. You can click here for a blog post from Graham and a link to the original article, if you are interested. He came back and refreshed the story recently, with interviews with the MAC's new Commissioner. Steinbrecher was brought in to fix basketball, something he theoretically knew about from his time in the OVC. He is taking this year to learn what the league's needs are...and what kind of personnel will be needed to help the conference bounce back. Anyway, its a good read. I am a huge football fan, but schools of our size are having trouble competing on so many fronts. The MVC has no FBS football, and their money goes into basketball. It is a shame to see us not competing in men's basketball, but there are no easy or cheap decisions to be made. The Falcons really needed a win today, and they were in the kind of place a team doesn't want to be when it needs a win, and that's in Kent, Ohio, take on the Flashes. Fortunately, for the Falcons, some things came together and the team was able to pick up a big win, avoid going 0-3 in MAC play, and bring us home next week with a shot at evening things at 2-2. (As an aside, Buffalo smoked Akron, so that close game the other night might look a little better). It was a really compelling victory. BG bolted out to an 11-0 lead, but then Kent rallied back and led by 7 at the half. They came out of the locker and got an old-school three point play, and they were up 10. You could kind of feel the Flashes getting their feet under them, and getting ready to put the Falcons away with a nice run. Instead, the Falcons got the next 8 points and brought the lead to 2, and then Kent never led by 6 again. They did, however, have a 6-point lead with 3:40 left. From there, they got only one more meaningful FG as the Falcons closed with a hard rush to win the game. The two key plays came when Dee Brown drilled a 3 with 1:04 left to give BG the lead for good, and then on the next KSU possession, Erik Marschall made a steal, went to the floor to corral it, and bumped it forward to Scott Thomas who raced down and scored to give BG a 4 point lead. Just to say that for us to play a close game over such a long period on the road is a real accomplishment for our team, and then to win the time from the last media timeout home is even bigger. I haven't had the chance to prove this with numbers, but it is said that inside the last two media timeouts, road teams tend to wilt. But today, the Falcons had more to bring. In some ways, the Falcons showed some of the same weaknesses they have in their past few games. Kent is a lousy 3-point shooting team, but they hit 11 threes, with is more than the other teams did. BG also made a ton of turnovers (19). But, Kent shot under 40% from the field for the game and averaged 1 point per possession. But most importantly, the Falcons covered all that up by making some baskets. BG shot 51% for the game and 50% from beyond the arc, which nets out to 58% effective FG%. The Falcons were also 16-18 from the line, the best in a four-game streak of really good free throw shooting. I wrote after the last game that BG gets good performances here and there, but needed to get a couple of them together in the same game. Today, that came from Scott Thomas, who scored 27 points, and Dee Brown, who scored 21. Those two sophomores both had huge games when the team needed it, and they helped to carry the team to the win. Joe Jakubowski had 11 assists and Erik Marschall contributed 4 FGs from the post when that was really needed. As you can see below, good shooting was the clear difference in this game. So with the victory, BG now has OU coming to town, and with a win there, they get can get to even in the MAC. For today, it was a really nice win for our guys in a tough place to win. BG battled the whole way, and ended up getting a resilient win. So, BG's OL Coach John McDonell is leaving to take a similar position at Memphis. McDonell is a pretty highly qualified coach, having been OC for a number of years at Washington State, spanning the Drew Bledsoe years. He worked with Mike "Brass Pole" Price during this time at WSU, and now Price's son is the OC at Memphis, and brought McDonell along. We'll watch to see how Coach Clawson fills the vacancy. This is an ongoing issue for a MAC team...you hire good coaches, people are going to come and get them. We were due to overachieve, and the Falcons went into the MAC Center and picked a really nice road win. BG went up 11, but trailed for much of the game. The Falcons stayed with it, were resilient, and closed hard to get the victory. Only 2 missed FTs all night. Much more later....but Scott Thomas and Dee Brown both had huge games and had a couple of clutch shots each. The Falcons make the trip to Eastern Ohio today to take on the Kent State Golden Flashes. The East is, as usual, a rough road, and the trip to Kent on top of two losses in the MAC is a really tough assignment for BG. Now, to preview the Flashes. We start with a simple fact. This program is incredibly resilient and consistent. Their track record over the past decade would be the envy of any team anywhere. This has stretched across numerous coaches, players, etc. They have just kept moving alone. Oh,yeah, and there's one Elite Eight performance in there. That is a whole mess of 20 win seasons. Just for good measure, we can also see that they are historically very difficult to beat in Kent. This season they are 10-6, but have played the country's 100th best schedule, so that's certainly not a bad record. Both their MAC games have been close, beating OU by 2 and losing to Miami by 2. Those were both road games, and this is their home opener in the MAC. They have a nice win over a really good UAB team, as well as wins over very competitive Wofford. Every single one of their non-MAC losses is to a team with a RPI of 107 or better. Had they placed a couple of easier teams in there, they would easily have 13-14 wins. Now, their numbers were generated against the #100 schedule and BG is somewhere in the 180s, so that makes a difference. Kent offers its usual very solid guard play, with Rodriguez Sherman and Tyree Evens leading the team with about 11 points a game, and Chris Singletary providing really solid senior leadership, with solid ball handling, being the MAC's active steals leader and he scores 9.8 points per game. The key assignment for our team will be for our guards to match up against these three really good players. On top of that, Justin Greene is a 6'8" So Forward from Brooklyn who is actually leading the team in scoring. They are the second most experienced team in the MAC, behind (barely) Buffalo. They have 9 players average 10 minutes or more a game. Now, on the plus side, Kent is the worst 3-point shooting team in the MAC, so given our difficulties defending the trey, that has to be a relief. Their defensive numbers are nothing special, and they are a very average team on the boards. They play a tempo very similar to the Falcons. This is an experienced team on their home floor. Certainly, Kent has to be a strong favorite out there. Now, if BG gets a strong defensive performance and puts some of its offensive elements together, it has the ability to compete with this team. They due to exceed expectations and put together a really nice game. Lots of stuff about the relationship between a coach and his former players, which I commend to you. He noted that he will remember this team for the resilience. I note that he noted it because I think this is one thing that Coach Clawson and his staff brought to the program. Resilience was definitely not something we had shown in the previous years. Caleb Walker, of Middletown, is a QB and is in school right now. No JUCO players have enrolled. We can expect a big recruiting class in February. We were down scholarships due to APR, so we can expect a big class. Right now, I have us with 20 verbals, so it would not surprise me to see us get 5 more or so between now and signing day. We will be talented but young next year. From a recruiting standpoint, this means we can offer a shorter line to playing time for good players. He noted that "no one" ever goes back and looks to see how a recruiting class fared later. uh, ahem, ahem, cough, cough. Anyway, his point was 100% right on...you need to recruit good players, but a good players who stay, go to class and develop are more valuable than better players who doesn't. He was asked if he would do some things differently, and he said he would, only some of which he would admit. Interestingly, he says that Pettigrew and Moore were not red-shirted because of injury worries at RB and S. In the actual event, these injuries did not materialize, and in 3 years we will wish we could have the year back. I don't know about S, but at RB both Geter and Bullock had experienced injury issues, so it was reasonable to think that it could have happened. OK, finally. Freddie Barnes has checked into some kind of speed camp to help get his time down for the NFL Scouts. So, Coach Clawson was doing his year-end wrap up presser, as covered here in the Blade. I am going to listen to it shortly, but the Blade report focuses on the fact that BG is losing lots of starters including a QB. It mentions the potential candidates, including Aaron Pankratz and Matt Schilz, but then introduces a name I had literally not heard before: Kellen Pagel. I was kind of surprised that this slipped past me, but I am getting older. So I decided to educate myself about Mr. Pagel. First, I went to his page on bgsufalcons.com. Not much help there. So I decided to google him. Yes, his father is THAT Pagel, with a 12-year NFL Career, including for the Browns. He is from Strongsville, and led his team to the best playoff performance in the history of the school. Check out this from jjhuddle. Such praise would please Pagel, particularly because his father gave him advice about quarterbacking that encouraged the same attributes Jacques spoke about. I have no idea what his status is with our team, if he is a walk-on or on scholarship. He was injured his junior year, which is a terrible time to be injured if you are trying to get a D1 scholarship. His star receiver from that team is at Findlay, so perhaps he decided to take a shot at walking on at BG. He has never been listed with any of our recruiting classes. I always contend that for all the desire for measurables--and he is 6'3"--sometimes you need a guy who is a football player, with an instinct for the game and the passion to be better, and it sounds like Kellen Pagel brings some interesting elements to our QB battle. One last thing. You see the name Russ Jacques up there, and younger Falcon fans may not know that he is not only the coach at Strongsville, but a former Falcon QB. Jacques played for and coached with Don Nehlen, making him a part of the Doyt Perry coaching tree. So, you know, if Russ Jacques likes you as a QB....that's gotta mean something. So a couple of quick looks at how things are tracking for the men's basketball team. First, free throws. It is no secret that our Free Throw shooting was positively abysmal earlier in the season. In fact, Coach Orr said he was in a state of prayer everytime he went to the line, something which was entirely warranted. He related how hard the team was working on it in practice, only to see it get worse. Well, the team is finally seeing this come around, as you can see in the chart below. BG's last 3 games have been the best three of the season, and against Buffalo, free throw shooting kept us in the game and gave us a shot to win. The other statistic that I am tracking has to do with 3 pointers. Buffalo lit us up pretty good. Coach Orr made a special point that we need to defend the 3 better, and keep good shooters from getting shots off. As you can see, in 4 of our last 5 games, teams have been able to hit 9 or more 3 pointers against us. 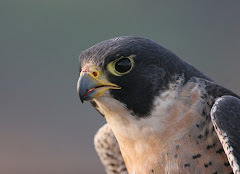 Via AZZ.com, we see that CB Ryland Ward has made a verbal commitment to be a Falcon. Ryland is a two-star recruit that BG beat 5 other MAC schools to get. ESPN.com is really high on him, and I think he would have been ranked even higher if were taller (he is only 5'10"). He is from Columbus Brookhaven, which is also the home of one of our basketball recruits for next Fall. Ward was first team all-state, all-district and all-metro first team, playing FS in HS, apparently. Ward is an intense and talented player that loves to compete and determined to make plays. Of course, that's exactly the kind of player we are recruiting....the kind that loves to play football. Welcome to the Falcons Ryland. In what might well represent a shift in recruiting philosophy, all of BG's verbals to date are from Ohio, Michigan, Pennsylvania, or Illinois. Going into the Buffalo game, we thought BG had to control the tempo and play its game to compete against Buffalo, and they did, in a close game that ended up coming down to Buffalo's final possession. Dee Brown nailed a couple of free throws with :39 left to tie the game for the first time since there was 5:38 left in the first half. But, the Bulls are a well coached team, and they came up floor without a time out. Knowing that the worst they could do was probably overtime, they milked the clock until it was in single digits, and then Rodney Pierce created some space and Sean Smiley nailed a really tough 3 with a guy flying at him and :04 on the clock, and that was the game. In the post-game presser, Coach said that while Smiley hit a tough shot, he considers the shot to be a defensive failure, for the simple reason that in that situation, you can't let a guy get a rhythm-catch-and-shoot opportunity, and we did. This is part of defensive basketball that I think fans sometimes miss. I can remember Dakich talking about it too. It is one thing to contest shots, but in that situation, you can't let the guy even get a shot. And it was a nice shot. In the end, BG did keep the tempo where they are more comfortable, and it was a close game the whole way. In the end, BG had no answer at all for Rodney Pierce, who is a really good basketball player, and enough flaws in our own game that the Bulls were able to lead almost all the way, have the ball for the games crucial possession and execute a basket. Pierce finished with 21 points and 6 assists. On the positive side for the Falcons, Scott Thomas had his best game of the season. I really like Thomas as a player, though he has struggled to find his rhythm this season. He had a double-double last night, with 21 points and 10 boards and was 6-14 from the field, so he wasn't chewing up a lot of possessions to get that 21 points. Beyond that, however, the Falcons had some real struggles on the offensive side of the floor. There were long periods of time when it was very difficult to watch us try to move the ball against the Buffalo man to man defense. In retrospect, it wasn't as bad as it look, as BG averaged over 1 point per possession. Our biggest weakness was that we couldn't play "inside out" because our inside game really struggled. Our inside men were 4-13 shooting for the game, and Buffalo out-performed us on the boards. I haven't done the actual math, but I would suspect that when we get solid inside scoring, we win and we really struggle when we don't. We took care of the ball, with only 10 turnovers for the game, but it sure seemed like a lot more. I can tell you this, three of them came in second half possessions when BG had a chance to take the lead. If you want a hidden part of the game that really hurt BG, you can start with about 5:00 left in the first half. The game was tied at 26, and BG was competing very well with the Bulls. For that last 5:00 or so, BG had only one FG, and no FG at all for the last 4:24, allowing Buffalo to go on a 12-3 run and put BG in a position to play catch up in the 2nd half. That set the tone for the entire second half, and while I give our guys credit for keeping it close and eventually tying the game, it just seemed like the "catch up" momentum defined the half. From a statistical standpoint, you can see the anatomy of a close game right here, with shooting relatively close, BG staying afloat on free throws and taking care of the ball. Coach emphasized in this post-game presser that the season is a marathon not a sprint. He didn't emphasize, but I will, that BG started out slow last season and eventually finished strong. Last night's loss was certainly disappointing (and it gets worse as we travel to Kent on Sunday). It seems like we get someone stepping out and playing effectively in each game, but at the same time, some other parts of the game regress a little, and we end up losing games like this one. If the team can get all of its elements clicking at the same time, this could still be an interesting team. According to the BGSU game notes, BG is 11-2 in jump balls this year. Oh yeah. Who's your Daddy? The MAC season rolls along, as the Buffalo Bulls make the long drive west to play a weeknight game in Anderson Arena. This is a pretty important game for the Falcons, I think. Coach always talks about us being a resilient team, and after a rough night in Akron (which Coach contends looked rougher than it was) resilience is needed. Buffalo is a good team, but on our home floor we need to be able to show that we can compete with them. Last year, BG had good luck with the Bulls, beating them twice. However, they are a good basketball team, and have to be the favorites on paper. Buffalo is 8-4 so far this year. They are 4-1 on the road, including nice wins against Niagara and UW-Green Bay. One of their wins is against Buffalo State, but one of their losses is to Purdue. They did lose by 10 to Jacksonville State, which can't have been a good feeling. In common-opponent land, they beat Towson, as BG did, but lost to Canisius at home, a team BG did beat on the road. In MAC-land, they scorched the always mysterious RedHawks (who then went on to beat Kent Tuesday. Go figure). So, this is a solid team that has not shown themselves to be bullet proof. They are an excellent test for our team, and if we can bring the kind of game we brought against St. Louis, I think we can make it a very interesting game. If you look on the surface, you will see that the Bulls lead the MAC in scoring and are near the bottom in scoring defense. The key--and this will be a key for the game--is that they are playing more of an up-tempo game, especially for the MAC. Their 72 possessions per game, is, in fact, the most in the MAC. So, from a tempo-free perspective, they are 2nd in offensive efficiency and 4th in defensive efficiency. That's a key question, because the question of who will control the tempo is a pretty important one for this game. How will that happen? Well, if the Falcons get force misses and control the boards, then they are in a much better position to control the tempo. On our end, it goes without saying that not missing shots and turning the ball over (with live turnovers) will force Buffalo more into our style of play. And those happen to be all the things we need to do to win most of our games, but when you play a team with a different style, it seems like those issues become more important. For the record, for defensive efficiency to date, Buffalo is actually ahead of Bowling Green, and they lead on the key factors. I am looking forward to the game. BG played well below what it is capable of in Akron, and I'd really like to see us play the grinding, hard to beat style that is our specialty, and get some shooting from our guys on the other end. After a game like that, I do like our chances to bring a really good effort, and I wouldn't be surprised at all if we won. For a preview from the Bull perspective, check out the great Bull Run blog from Buffalo. Thoughts of Note: should the MAC go to the FCS? This has been a long-standing debate in the MAC, going back literally as long as I can remember following Falcon sports. The issue is whether BG and the MAC would be better off being bigger fish in the FCS pond or whether we will be better off maintaining the status quo in the FBS. It is largely an academic argument. A few years ago the MAC made a commitment to FBS football, and that is the underpinning of the MAC's strategy for the future for its entire athletic program. Having said that, I have already noted that the spectre of conference realignment is looming, and, on top of that, the big schools always put "get more power and money" on their list. As an example, there will be a proposal to allow 6-6 teams to go to bowl games ahead of 7-5 teams at the NCAA convention....which would have left BG home this December if in force now. I have never viewed going to FCS as a death knell for the program, and it would not effect my fandom one bit. Others strongly disagree. Matt Sussman (a BG grad) has a nice blog post on this topic, which I commend to you regardless of how you feel. HT to azz.com, where I saw that TE Tyler Beck of Wilson HS in West Lawn PA has committed to the Falcons. Tyler is 6'3" 230, and was his conference's offensive and defensive lineman of the year. He was also All-State and All-Eastern Pennsylvania, and will play in the Big 33 game. He is a pass catching, playmaking TE, which will fit in very well with the Clawson West-Coastish system. Obviously, to be all-state in Pennsylvania and get honors like that on both sides of the ball, he must be a pretty good football player (as opposed to just a pure athlete). Welcome to the Falcons, Tyler. I know lots of people are into this....BG will play Ohio State on October 15, 2011 in Columbus. Make your hiney gate plans now, or whatever it is. Personally, I don't get as jazzed about this...but it is on the schedule. Anyone who has watched any MAC basketball has heard a beleaguered and defeated coach stare out during a post-game presser and lament how "hard it is to win on the road in the MAC." And for hoops they are right. Last season, in men's hoops, home teams were 65-31 in conference games, with is about 67%. Only one MAC team had a losing record at home, meaning that 11 MAC teams--teams both good and bad--won most of their games at home. MAC football coaches also talk about the difficulty of going on the road, but in their case, the numbers don't bear it out. A couple years ago I looked at this....and that year home teams were 27-21 in conference games. That's about 56% and just not a very good strong home court advantage. This season was even worse. In MAC games, the home team was 28-24, which is 54%. Essentially, what it means is that there is no real home field advantage in football. Stated another way, in men's basketball, being at home is enough for a poor team to be beat a better team. Not so in football. The road team has pretty much a 50/50 shot. CMU, of course, was 4-0 at home so the other 11 teams were actually net losers at home. I don't know what to make of it. I know that football is a different game, but all the issues (travel, home environment) are at least as significant in basketball as in football. But the fact cannot be debated. There is no significant home field advantage in MAC football. Coach Orr's presser was Monday, and the audio is available at the Falcon website. As these things go, it was relatively interesting. Coach is sanguine about the defeat in Akron. He says that we played a really good 15 minutes of basketball in the first half to go up 19-10, and that the game was only 4 points at halftime and was within 10 with 10 minutes left (With 9:53 left, it was actually a 14 point lead). So, it wasn't like Akron bolted to a huge lead and then ran away and hid. Of course, the team did tons of things wrong. Coach asked (rhetorically, I assume) how many times Otis Polk would go 2-11 from the field. And the same thing, more or less, with the turnovers, etc. Basically, coach says that the conference season is very long, and you gotta grind it out. I will say this....he seemed very confident of his team, notwithstanding the poor game at the JAR, and says his team will be hungry to play against Buffalo on Thursday. Coach was actually pretty animated, especially as he drew the distinction between playing hard (which we do) and competing hard (which we have done, but didn't). While you are at it, take a minute to listen to Erik Marschall's presser too. Very interesting look at the physical sacrifices he has made to be a Falcon. CBS Sports named Freddie Barnes to its All-Bowl team. Nice job Freddie! So, another blogpolling season ends. As always, I had a great time and it really adds to the quality of my college football season. Since my draft ballot, I popped Utah down a few slots and OK State down 1. At the end of the day, Utah lacks a signature win and they had 3 shots to get one. Dropped Out: West Virginia (#14), Arizona (#18), Oregon State (#19), Stanford (#20). That's one of those games you would just as soon forget about. The Zips completely dismantled the Falcons last night, 71-45. Given that BG actually led 19-10, then it was truly a 61-26 blow out from there on in. The Zips are a good team, and they had their way with the Falcons. BG was hampered by a few things. Obviously, scoring 45 points is not conducive to winning, and it is the second time in four games that BG had dropped below 50. Scoring 17 points in the second half is also not going to help you beat anybody. Essentially, it boils down to this. BG usually has sixty-some possessions in the game. Last night, it was 65. When you give up 30% of those possessions on a turnover, meaning you don't even get a shot off (akin to shooting 0%), and then you shoot 27% from the field, you're going to get beat. Particularly frustrating was the BG missed a high number of shots very close to the basket. We rely on our inside game to get going, and any team wants to make "zero footers" but BG struggled with those. I'm not going to point anybody out because everybody was poor. You can look at the boxscore if you want. One stat this is being used now is the Floor Percentage--the percentage of possessions where a team scores a point. For BG, that was a season-low 35%. For Akron, it was 50.7, which is about BG's season average. "We just have to play better," Coach Orr said in the post-game. Indeed. In fact, BG shot over 80% from the line, which is the only thing that kept them from setting new team lows in offense. Akron is well-coached, has a number of good players, and deserves their rank as the favorite to win the MAC. I tweeted last night that wondered if Dambrot might not find himself in line for coaching offers. He has built a program the old fashioned way in Akron. He has also proven that once he was done with the whole LeBron-posse thing, he can still put a high quality team on the floor that is very tough to beat. A couple other notes. In the playing time department, both Danny McElroy and James Erger saw double digit minutes, and Jordan Crawford did as well (more normal for him). So, three of our freshmen are now seeing regular rotation. Meanwhile the minutes for Marc Larson continued to slide. Well, not much more to say here. Last night, there is no doubt who the better team was. The MAC is a very long grind, however, and I look forward to seeing our team make their way through the schedule. Coach said you need to grind on every possession to have a chance to compete in the MAC, and I think he is right. Buffalo is next, also a very tough test, but I do believe that this team has the capacity to compete in the MAC, and just didn't bring it last night. The Akron Zips committed War Crimes on the Falcons tonight at the JAR....more tomorrow, but BG will never be able to defend its way out of 20 turnovers and then 27% shooting when we do get a shot. Happy New Year to the Falcon Nation!! !